"With no fault of the home, back on the market". 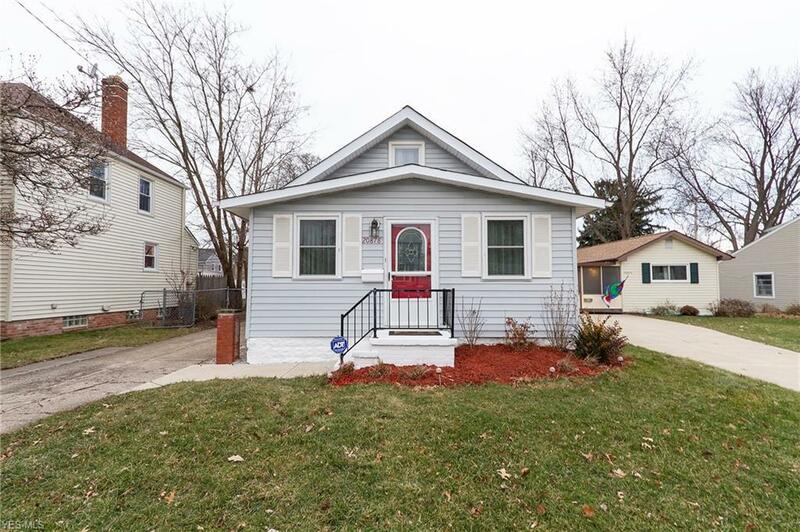 Come see this well cared for home that is completely move-in ready. Once you walk in through the front door, the nearly 1900 Sq. ft. of living space will impress anyone who enters that has been freshly painted throughout with neutral colors. The front entrance opens to a sunroom that can be used as a sitting area to enjoy your morning coffee. The LR/DR are spacious with wood toned flrs that are steps away from the cooks dream kit. The kit offers an abundance of counter space, including a new butcher block island for seating, nwr cabinets, nwr countertops, and newly installed flooring-2019 (all appliances stay). Off the dining area is an additional room that can be used as an office or a bdrm with a full bath adjacent to the room. The 2nd floor offers 2 oversized bdrms with an additional full bath and one extra deep closet on second floor (7' deep). The full basement is finished that includes built in cabinets and shelving throughout with an additional full bath. Additional updates: Installed A/C & Humidifier, finished lower level shower, front step, nwr furnace and ductwork (approx 8 yrs) with E-Z Breathe Ventilation system with humidity control and exhaust control, nwr windows (Allside Windows - premium installed), and nwr interior doors. Fully fenced backyard with deck! Large 2 1/2 car gar w/electric. Close to shopping/highways! Schedule to see this completely turnkey home. 1 year Home Warranty included.